Update: Apple has updated iOS Maps with correct data for Mildura, Australia, reports The Guardian, with the changes being pushed out hours after reports brought attention to the matter. 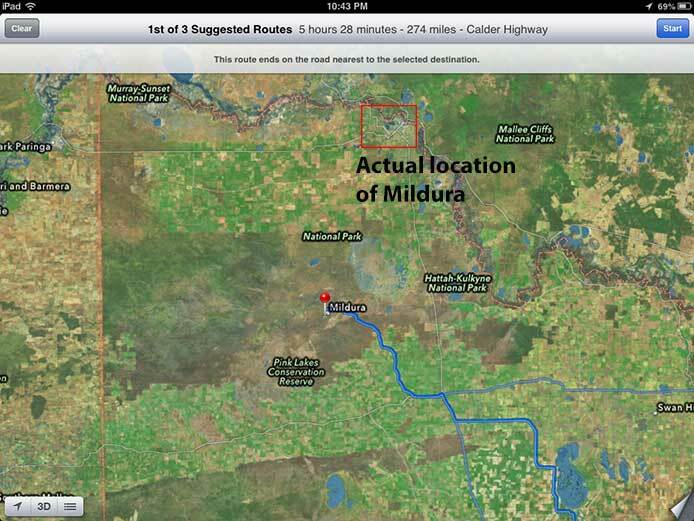 The refreshed information may not available for all users, however, as AppleInsider checks still show Mildura as being in the same incorrect location. According to the police bulletin, over the past few weeks a number of rescue operations were carried out as motorists on their way to the city of Mildura became stranded in the Murray-Sunset National Park, each of which cited faulty directions from Apple's Maps app. Due to bad cell coverage in the area, travelers walked long distances without food or water to call authorities, which in some cases took up to 24 hours to complete the rescue. While no fatalities have been reported, police are concerned that the park's lack of water and harsh temperatures could prove the app's inaccuracies to be a "potentially life threatening issue." Apple's mapping app allows for caching of data for offline use, explaining how those who found themselves lost were able to continually access directions. It appears the problem lies in iOS Maps location data for Mildura, which places the small city over 40 miles south-east of its actual location, and not the navigation system itself. It is unknown why the problem has only recently been reported, though Apple is continually making changes to its mapping service and even offers users a way to help by reporting issues which are then vetted by the Maps team. "Police have contacted Apple in relation to the issue and hope the matter is rectified promptly to ensure the safety of motorists travelling to Mildura," Victoria police said in a briefing posted to its website. 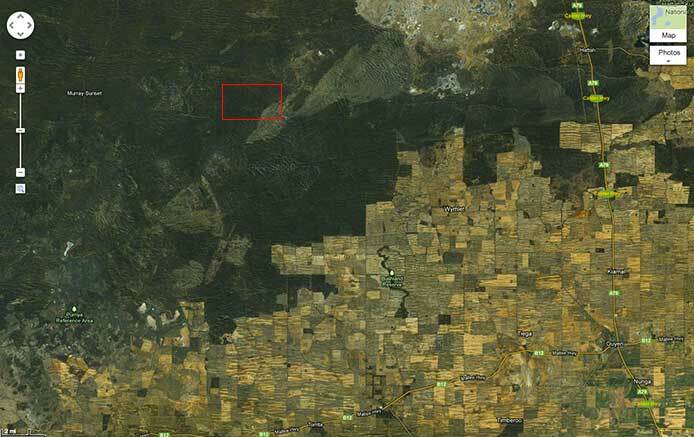 "Anyone travelling to Mildura or other locations within Victoria should rely on other forms of mapping until this matter is rectified." Apple came under fire in September when the Maps app launched to a flood of criticism over incorrect data, lack of features and poor initial implementation of 3D Flyover views. In response to the consumer outcry, CEO Tim Cook issued a letter publicly apologizing for the debacle, saying that the company "fell short" with its mapping efforts. Unlike previous iterations of the app, which leveraged Google Maps data on the backend, the iOS Maps app uses in-house software to give directions based on assets from TomTom and other providers. In moving away from Google, Apple reportedly waived one year of its Google Maps contract, losing access to the internet search giant's years of gathered data and imagery, including the popular Street View feature. Currently, Apple's Senior Vice President of Internet Software and Services Eddy Cue is reportedly "racing" to improve Maps, one of the first steps being the ousting of former project head Richard Williamson.